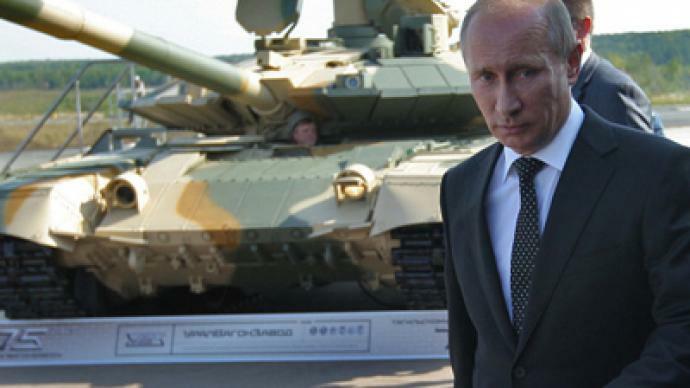 Prime Minister Vladimir Putin has visited a military exhibition where he took the opportunity to test the new T-90S battle tank. 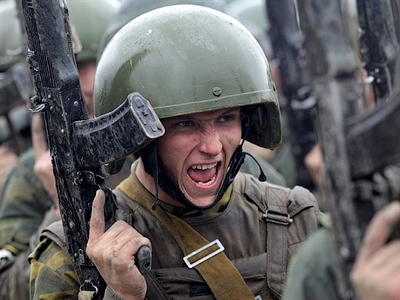 Heavy artillery producers from Russian and abroad have gathered in the Urals to showcase cutting-edge combat equipment. This year’s headliner is the modified version of Russia’s main battle tank, the T-90S. The cutting-edge battle tank has new gadgets that were of great interest to buyers at the 8th international military equipment and arms salon in the Urals, where Vladimir Putin put the new tank through its paces. The tank’s new features allow the T-90S to increase its precision during long-distance fire. Another innovation is a machine-gun to hit close targets. The tank is also capable of automatically raising a screen against laser-guided missiles and is equipped with electromagnetic mine protection. The T-90S has already made its name as a “flying” tank because of its stunning jumps over 10 meters above the ground from trampolines. At the exhibition the T-90S simulated a military mission of destroying enemy tanks and helicopters at a base located about 4 kilometers from spectators. 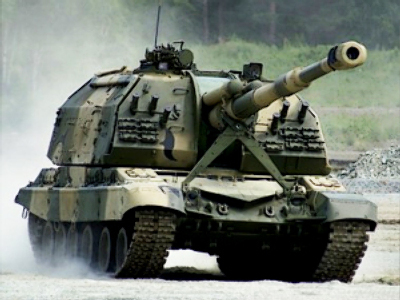 Right now the T-90S serves in the Russian and Indian armies. Algeria is to be supplied with T-90S tanks by the end of 2011. Turkmenistan has also ordered a number of them for its armed forces and Saudi Arabia is holding talks with Russia on supplies of T-90S tanks too. Another military innovation is a vehicle called “the terminator”, which has been created to protect main battle tanks from anti-tank forces. It has been modified accordingly to withstand anti-tank weapon attacks from a wider arc. 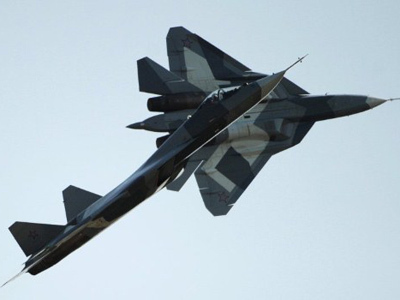 The S-400 missile defense system that is to replace the S-300 was also showcased at the exhibition together with the latest Sukhoi fighter jets. A performance of aerobatics by the “Russian Hawks” flying at speeds of up to 500km/hour also provided onlookers with a thrilling spectacle. 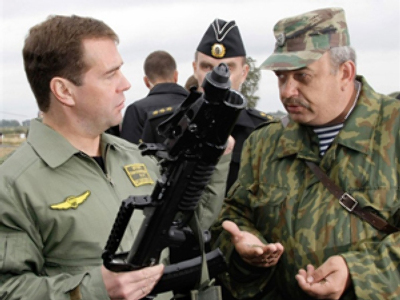 Russian Expo Arms 2011 featured businessmen from 20 foreign companies, including Italy, France and Sweden. Multi-million-dollar deals are sealed annually at the exhibition in the city of Nizhny Tagil.